This nominee for the WOC Nurse of the Year Award has been a nurse for 44 years and a WOCN for 30 years. Her career started in Baltimore working at St. Agnes hospital in SICU, Pediatrics, and Med/Surg and CCU. She became the charge nurse. Sadly, early in her marriage, her husband passed, leaving her to raise their very young daughter. She then went to work at North Charles Hospital for the next twenty years, during which she received the Nurse of the Year Award and became a certified ET/WOCN in 1985. In 1991, this nurse started working at Johns Hopkins Geriatrics as the CWOCN and again won the Nurse of the Year Award. There she set up a true pressure ulcer prevention program before many facilities recognized the importance of pressure ulcer prevention, and she educated nursing assistants on basic wound care. At both North Charles Hopsital and Johns Hopkins Geriatrics Center, she worked with surgeons and physician specialists to develop wound and skin care and prevention protocols. She also worked with the nurse education department to set up education for both nurse specialists and PA’s who wanted training and education in ostomy and wound care. Of note is the busy continence program that she ran at North Charles Hospital. She also started one of the first chemo outpatient clinics in Baltimore at North Charles Hospital. 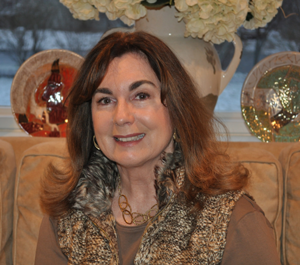 For many years, this nurse worked for a major manufacturer of wound care products as a CWOCN Nurse Educator and consultant, working with sales reps in hospitals, long term care, and home health care east of the Mississippi. Her responsibilities included setting up protocols for skin and wound care, education for wound care and pressure ulcer prevention programs for the many facilities that did not have formal protocols or educational programs, and unbiased consultations related to wound care. She was instrumental in assisting other nurses in attending CWOCN programs to become a WOCN. Throughout her career, this nurse has been very active and supportive of WOCN practice. Early in her practice, she set up the ET board in Baltimore during Nurses’ Week, and later attended the NIWI program, chaired the Baltimore WOCN meetings, participated in and arranged local educational programs, and was a speaker at our Mid-Atlantic WOCN programs on Lower Leg Ulcers and compression wraps. Regular attendee of both regional and national WOCN conferences. This nurse has had health issues the past few years which caused her to retire in 2013 but she still sees wound and ostomy patients, without charge, in doctor’s offices when there is an immediate need and refers them out to one of the clinics for follow up if indicated. She also answers questions by phone from ostomy patients who are no longer in home care and need assistance. She has shared her experiences on the MAR website to help her colleagues understand health care from a patient perspective. She has kept a positive attitude throughout her ordeal and is a source of inspiration. She truly deserves this year’s Mid-Atlantic WOC Nurse of the Year Award.